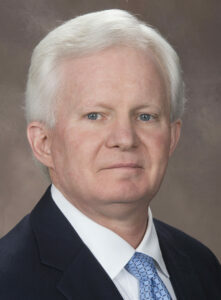 Attorney Don Coggins Confirmed as Federal District Court Judge - Harrison White, P.C. Spartanburg, S.C.—Harrison White, P.C. is pleased to announce that partner Don Coggins was unanimously confirmed by the U.S. Senate last Thursday, November 16, 2017 as a U.S. District Court judge in South Carolina. A native of Spartanburg and a graduate of Clemson University where he received a B.A. in economics in 1981, Coggins received his J.D. from the University of South Carolina School of Law in 1984. Coggins has over 30 years of trial experience in all South Carolina State and Federal courts, obtaining multiple large verdicts and settlements for his clients. In addition to his work in the courtroom, Coggins has developed a practice representing professionals in licensing matters before the South Carolina Department of Labor, Licensing and Regulation. By appointment of the South Carolina Supreme Court, Don has served as a member of the Commission on Lawyer Conduct since 2003. He has been AV rated by Martindale-Hubbell for nearly 20 years, and has been named a Best Lawyer in America since 2007. Harrison White, P.C., located in Spartanburg, S.C., is one of the largest litigation firms of its kind in Upstate South Carolina. Its mission is to provide its clients with the most personal and effective advice, representation and counsel. For more information visit spartanlaw.com.